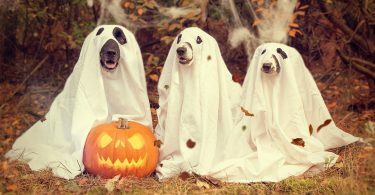 The Halloween we know and love today has come a long way since its origins, dating back to Celtic times. Thousands of years ago, the day marked the end of the summer harvest, the commencement of winter, and a time of year associated with deaths. During this time, it was believed that ghosts and spirits roamed the earth. In response, The Celts celebrated an ancient festival called  Samhain – held to ward off spirits using bonfires and costumes. 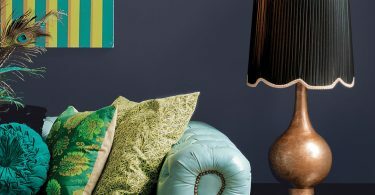 Today, rather than warding off the mythical, we seem to welcome it, and ghostly costumes, sweet treats, and decorations have become emblematic of the day. 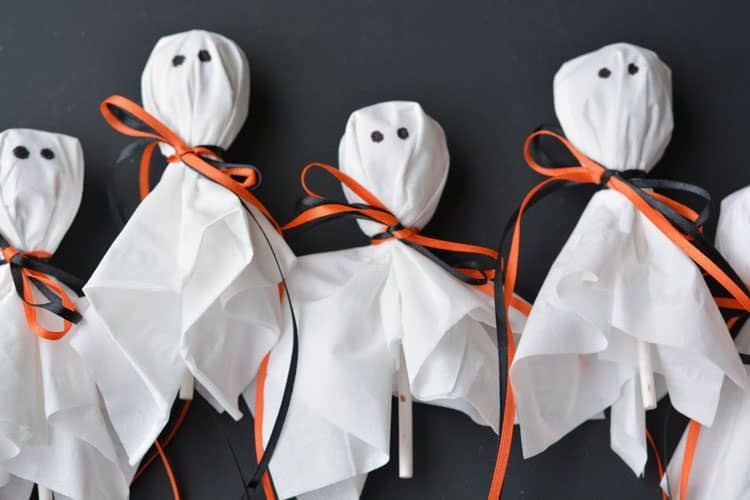 In the spirit of all-things-ghostly, we’ve rounded up five spooky DIYs suitable for kids of all ages. 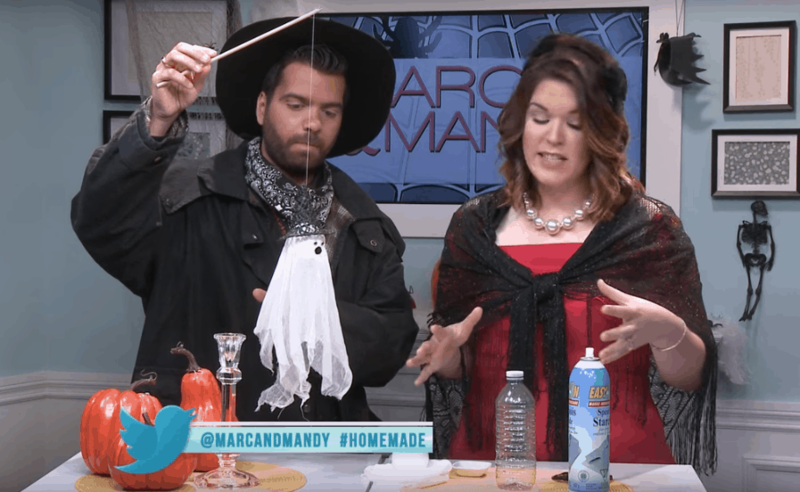 Visit the Marc and Mandy website for full instructions on how to DIY this no-glue, no-scissors Hanging Ghost. 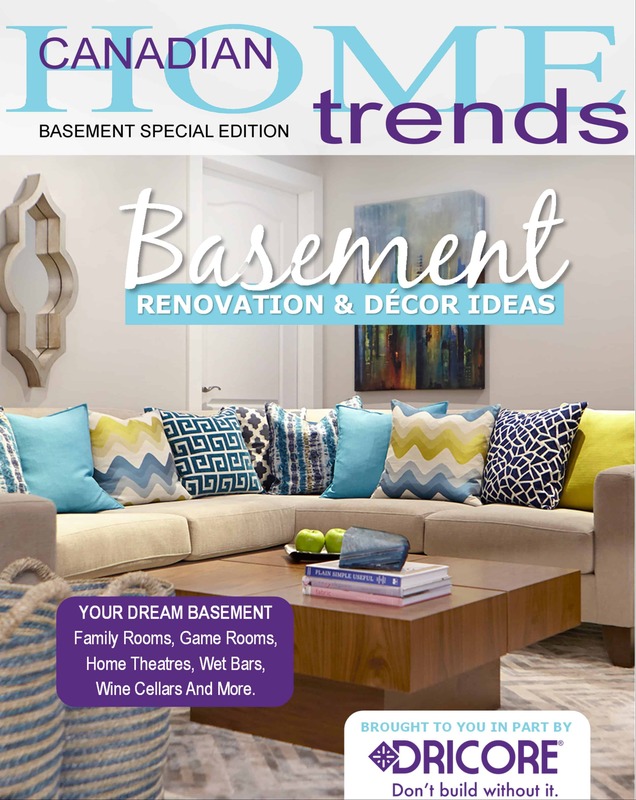 Visit One Little Project for full instructions on how to DIY these Lollipop Ghosts. 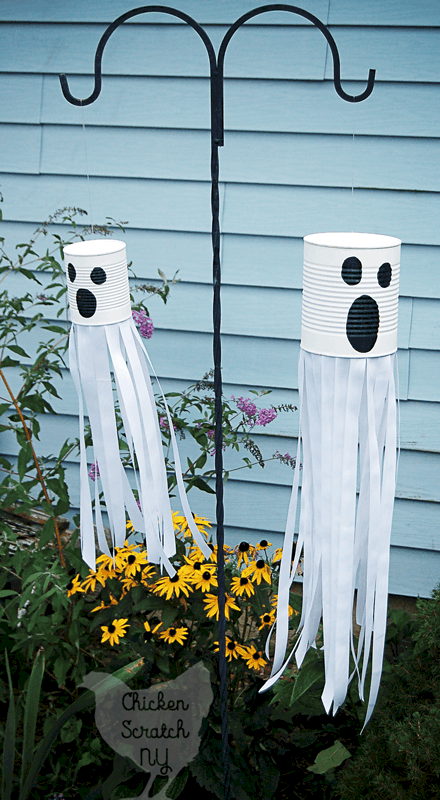 Visit Chicken Scratch NY for full instructions on how to DIY this Ghostly (Tin Can) Windsock. 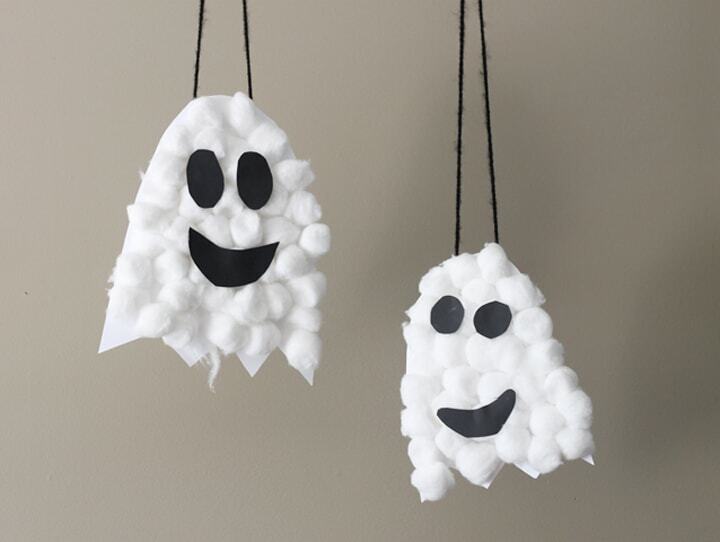 Visit Thriving Home Blog for full instructions on how to DIY these Puffy Ghosts. 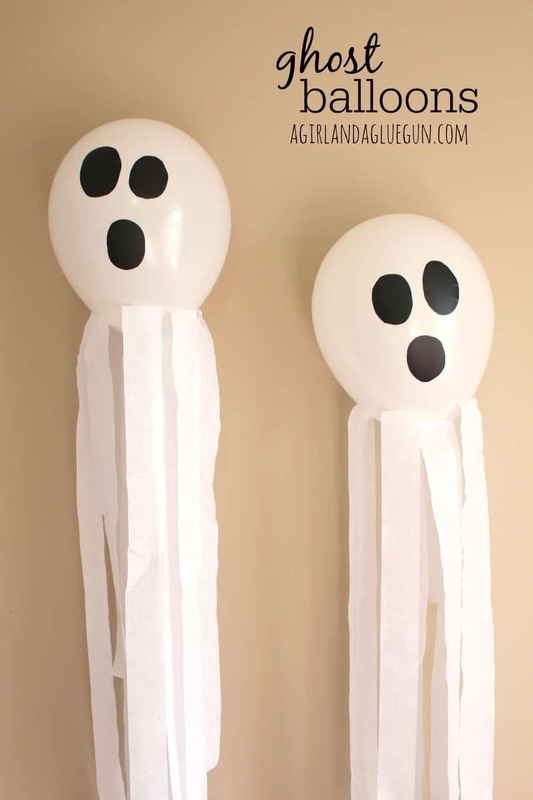 Visit A Girl And A Glue Gun for full instructions on how to DIY these Ghost Balloons. Visit Living Off Love And Coffee for full instructions on how to DIY this Ghost Button Wall Art. 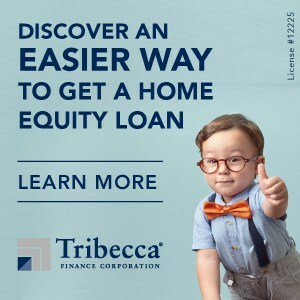 Aww those puffy ghosts look like a sweet craft project for little ones!